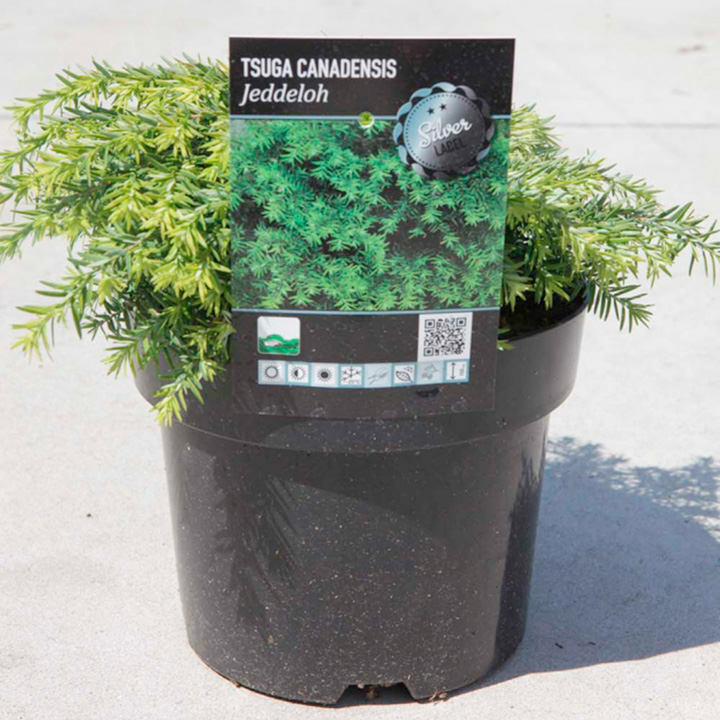 This compact and bushy form of Tsuga canadensis will form a small rounded shrub, still with the attractive arching branches. The small finely textured needles, bright green in colour when young are then complemented by small oval cones. Supplied in a 3 litre pot.